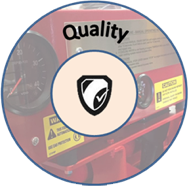 To eliminate the risk of fire pump failure by carrying out regular testing and maintenance. 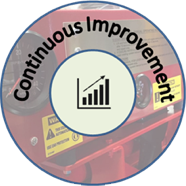 To be the 'centre of excellence' in the fire pump sector through collaboration and innovation. 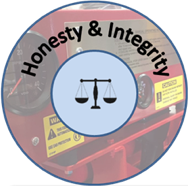 Our aim is to become one of the leading independent fire pump service companies in the UK through controlled growth built on a solid foundation of knowledge and experience. Where possible, confined spaces are to be avoided. 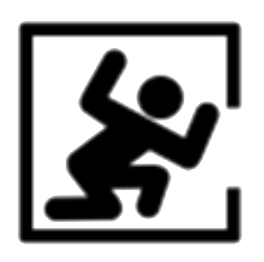 Only Certificated personnel are to enter confined spaces. A permit to work has been obtained. You have read and understand the standard operating procedures. A risk assessment has been carried out to identify all possible risks. All energy sources have been isolated. Gas tests have been undertaken and verified before entering a confined space and repeated through the task. A safety person is present airside at all times. You know the emergency rescue plan. You know how to “Call for Help” if anything does happen. You allow your eyes to adjust to the light difference before leaving a confined space. Any Transporting or supporting of a load (including the lifting, putting down, pushing, pulling, carrying or moving thereof) by hand or bodily force. You try to avoid manual handling if possible. The task has been risk assessed and measures put in place to reduce potential risks. You use mechanical aids where necessary. Only trained persons use lifting devices e.g. crane, hand cart etc. The correct tool for the task is used. You only lift what you feel comfortable lifting (Not exceeding 20kg). Any lifting aid has been fully inspected before use. 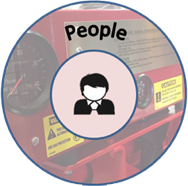 Any lift is controlled and carried out by a competent person. A formal management system used to control high risk activities. These enable an assessment of risks to be made and to specify control measures which will be put in place in order to minimise the risk. You have identified any hazards via a risk assessment and controls have been put in place. The permit is validated and covers the work being carried out. 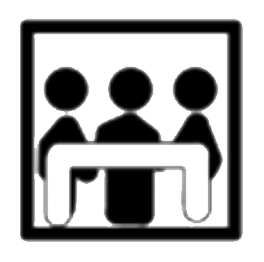 You have carried out or received a toolbox talk before the start of any work. You stop any task/activity if you identify the need to change it and seek a new permit. Communicate to all persons involved, the details of the work being carried out. 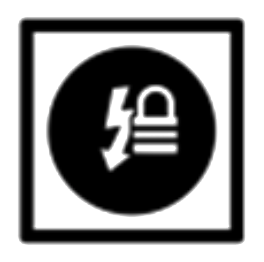 A device that uses positive means such as a lock and key or combination lock to hold an energy-isolating mechanism in a safe position and prevent equipment or machinery from being energized. Lockout/Tagout. You have understood all isolations in place. Check all isolations are locked off and tagged. You have tested or witnessed that the isolation has been successful and it is safe to start work. Tests are carried out during work to make sure isolation is still effective. If you have any concerns, STOP the job. Work in any place where, if there were no precautions in place, a person could fall a distance liable to cause personal injury. Height is defined as anything higher than floor level, or where you could fall into an opening in the floor or a hole in the ground. You avoid working at height where possible. You have read and understand the risk assessment for working at height. 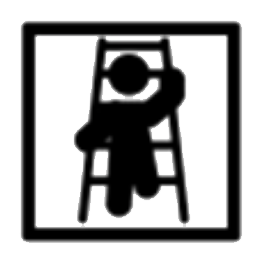 You have planned any work from height prior to any task; it is supervised at all times and carried out safely. You are trained and competent in working at heights. All equipment used e.g. ladders etc. have been inspected before use. 3 points of contact are maintained throughout any work on ladders. 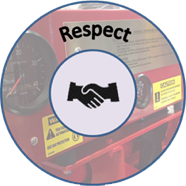 You tag and report any faults found on equipment (Never use if any damages are found). You thoroughly check any objects which can fall are securely fastened. You are aware of any Emergency/Rescue plan. You and any passenger wear seatbelts at all times. Vehicle checks are carried out and deemed to be in safe working order. All drivers hold a valid driving licence. All loads are secured and manufacturer’s weight limit is not exceeded. All speed limits are adhered to. 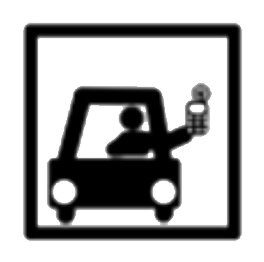 Use of mobile phones whilst driving is prohibited. You are aware of the weather conditions and take precautions where necessary. Any equipment used at work for lifting or lowering loads, including attachments used for anchoring, fixing or supporting it. The lifting equipment is only used for its intended use. All operations are planned, supervised and carried out by competent people only. 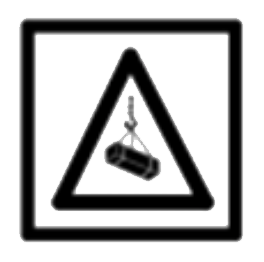 Only trained persons use the lifting equipment. Checks are made on the equipment before commencing any lift. The area around the lifting/lowering procedure has been cordoned off. The load capacity is not exceeded. Any defects must be reported and isolated immediately. 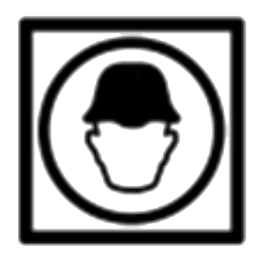 Any protective clothing, helmet, goggles, or other garments or equipment designed to protect the wearer’s body from injury or infection. PPE provided is suitable for the task. It is in good, clean working order. You only use the PPE for its intended use. Any defects are reported to management immediately for replacement. Overalls, hard hats, safety footwear, gloves and safety glasses are provided for use on site as standard. Additional PPE such as High viz vests, hearing protection and self-contained breathing apparatus may be required. This should be mentioned prior to any work commencing. The work being undertaken has been risk assessed and any relevant PPE is listed.